This buyer’s guide summarizes the environmental pros and cons and durability of the three major categories of wood stains: natural oil, acrylic or urethane, and water-based. Use it to find the best stain for your specific project. 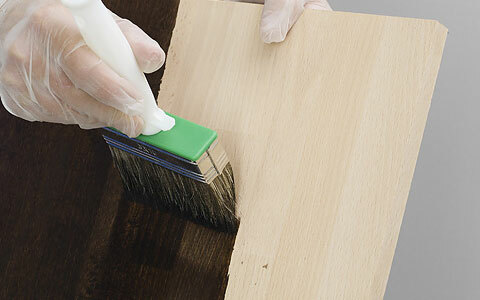 This buyer’s guide summarizes the environmental pros and cons and durability of the three major categories of wood stains: natural oil (made with linseed and other oils as binders and petroleum-derived solvents as carriers), acrylic or urethane (made with acrylic or urethane as binders and petroleum-derived solvents as carriers), and water-based (made with acrylic or urethane as binders and water as a carrier). Stains protect wood from water and abrasion to varying degrees when used alone; they can be sealed with a clear finish to increase durability. We recommend using a water-based sealer because of its low environmental and health impacts, quick drying time, and ease of clean-up. All leftover stain must be handled as hazardous waste when you dispose of it, so try not to buy more than you need.